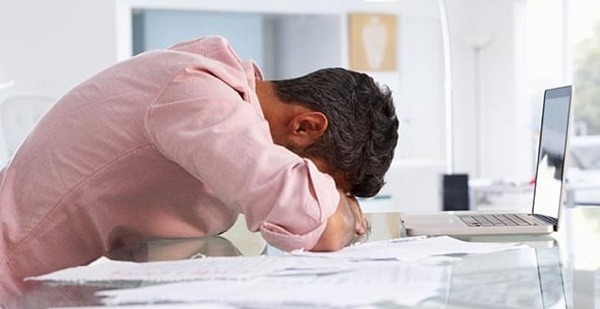 In addition, people who prepare their own returns may experience further delays and possibly incur unexpected tax liabilities (including penalties and interest) if they make one of the six common do-it-yourself tax filing errors listed below. These are some of the ways an experienced tax preparer can help at filing time and ensure you claim all the tax breaks to which you are entitled. Usually, a married couple fares best by filing a joint return, but that's not always the case. For instance, under the TCJA a taxpayer may be able to preserve a deduction for “qualified business income” (QBI) received from a pass-through entity by filing separately. There may be significant tax savings to be won or lost with the filing status election. Plus, it's a hassle to fix things if a taxpayer doesn't qualify for the status chosen. Technically, filing a tax return on paper isn't a “mistake.” But doing things the old-fashioned way can lead to errors and delays. With a paper return, it's more likely that taxpayers will enter information incorrectly, such as a name or SSN or make math errors. To help prevent common errors, a tax preparer is aware of items from the previous year and will ask questions to help eliminate discrepancies. Some early filers also may complete their returns at breakneck speed or try to “wing it” before they receive supporting figures from their employers, banks and other third parties. There are several benefits of using an experienced CPA to prepare your tax return, including convenience and potential tax savings. But you still need to do your part to ensure accurate and timely filing.First off, you'll need to provide your tax return preparer with accurate information. Include all forms and documents that will be needed to file your return. If you omit a 1099 or fail to disclose information about foreign investments, for example, you only have yourself to blame.Those documents should be organized in a logical fashion. If you present your preparer with a shoe box of receipts or dump a pile of records on his or her desk, it will take a while to sort things out and your return may be delayed. Wow, I can’t believe that you think the average citizen cannot file his own return. I am 80+ years young and have been preparing my own taxes with a stubby pencil until about 15 years ago when I switched to TurboTax. I file an extensive Schedule B and 22 Schedule E’s with my return. I have just completed my returns and ran the check list provided in TurboTax, missed putting a 0 in one block on one schedule E. I have tried to get my wife to do or at least help but she refuses. Her idea is to do exactly what you recommend NOT doing – put it all in a box and take it to H&R Block. Once you have all the necessary documents gathered, it is a simple matter of data entry and checking the blocks. It is not complicated, tedious and tasking yes, but not complicated.